It’s Fall. 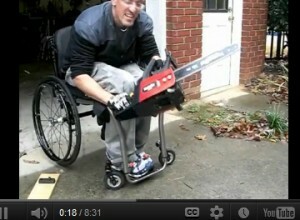 No one expects the guy in the wheelchair to get down and dirty when it comes to raking leaves, or cutting down trees in the forest using a chainsaw (omg). What Do You Appreciate More…Now?